The day has finally arrived! Set to follow the hugely successful launch on the PlayStation 4 and PC platforms, Digital Extremes’ free online third-person shooter Warframe is now available on Microsoft’s Xbox One. 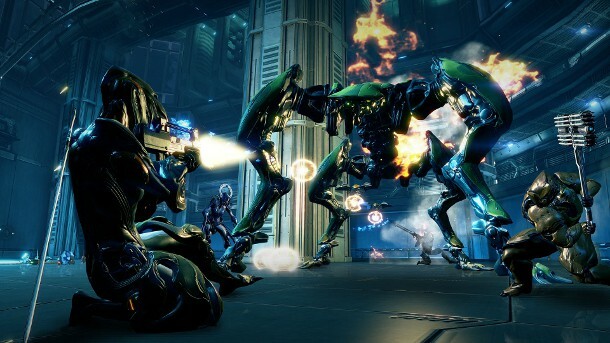 Warframe first released on PC and was greeted with a hugely positive reception as the developers focused on adding more features and mechanics to compliment the PlayStation 4 launch. Another platform, another great launch as it quickly became the most played title on the PlayStation Network. The timed-exclusive deal has now passed as Warframe becomes the first every free-to-play titles published under the ID@Xbox program. It’s a unique support system that offers independent developers like Digital Extremes the opportunity to expose their games to a massive audience through an accessible self-publishing program. Warframe will utilize many of the most defining features of the Xbox One including social connectivity between the community, game DVR for easily accessible recording and publishing of your greatest moments, and second screen functionality with SmartGlass support on the Warframe Nexus App on Windows, iOS and Android.